Most know the story of Rosa Parks. The African American woman from Montgomery, Alabama who refused to give up her seat on a segregated bus in 1955; sparking the Montgomery Bus Boycott. There’s one important aspect of Parks’ story, however, that is largely ignored: the history of her anger and how it fueled her activism well before 1955. Rebecca Traister, author of Good and Mad: The Revolutionary Power of Women’s Anger, argued during her recent book talk at Rotman that the anger Parks felt over racial segregation and sexual violence against black women is often omitted from her story because the expression of women’s anger (particularly women of colour) has been, and still is, systematically discouraged. However, there are countless instances throughout history of women’s anger fueling political and social change. Therefore, we should use “anger” as a clarifying lens through which to not only rethink women’s history but to also inform our understanding of current events and social movements. 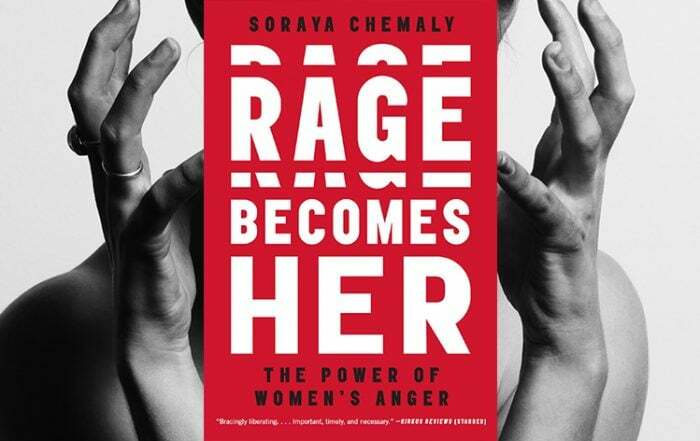 We should use “anger” as a clarifying lens through which to not only rethink women’s history but to also inform our understanding of current events and social movements. Check out the clip below to learn more about the inspiration behind Traister’s book; including why she decided to face her anger, and embrace it.